Erick Perez controls the ball during FC Dallas RGV practice Friday, July 6, 2018, in Pharr. PHARR — David Reyes is only 12 years old, but he looks up when he dribbles the ball and can facilitate like a player years beyond his actual age. The young midfielder from Alamo has been playing at Golazo in Pharr since he was 4 years old, but he says this has been his best season yet. He was born on Dec. 30, 2005, just days away from being classified with the younger age group. Through a couple of years playing with his teammates, he learned and performed better, benefitting from games against stronger opponents. Reyes has grown to be a leader of his teammates, who are going into eighth grade. FC Dallas RGV ‘05s (to signify their birth year 13 years ago) are set to compete at one of the highest levels of youth soccer. This week they’ll travel to Indianapolis to participate in the prestigious President’s Cup, which puts top youth talent on the field to battle for national supremacy. FC Dallas RGV's Mikaeli Nguma, left, tries to work his way around an opponent during practice Friday, July 6, 2018, in Pharr. The team will be heading to Indiana this week to compete in a national tournament. Hector Veliz watches FC Dallas RGV during practice Friday, July 6, 2018, in Pharr. Reyes said togetherness was the key to the team reaching nationals. 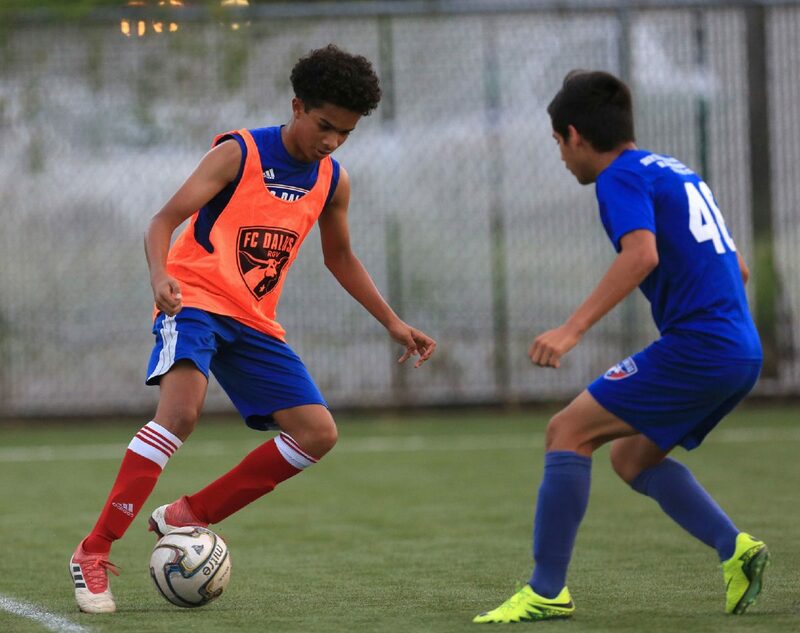 At the regional competition in Greenville, South Carolina, the RGV ‘05s played a near-perfect tournament, winning their three preliminary games by a combined 11-0 margin. In the semifinals, they beat Music City Pachuca 8-0. In the final, they surrendered their only goals in five games but won 5-2. 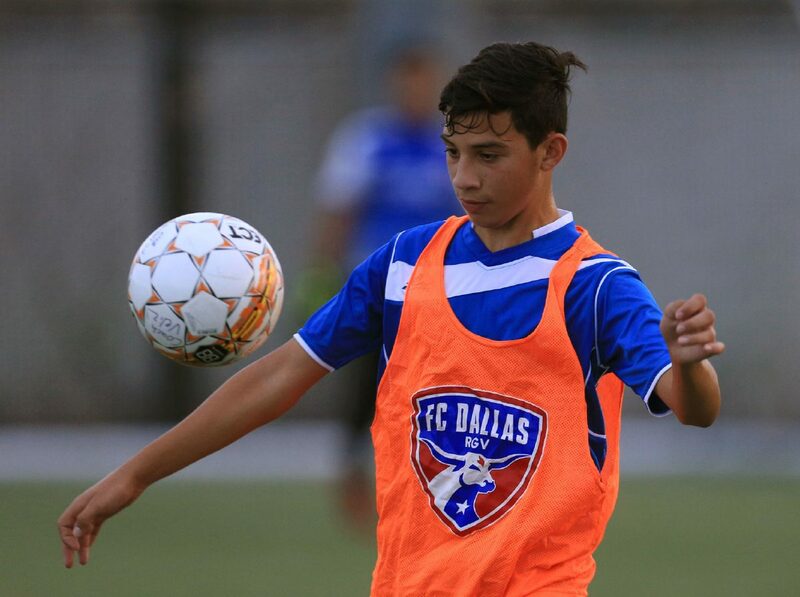 Current FC Dallas RGV boys and girls players in other age groups have already begun making an impact at the high school level. The FC Dallas RGV ‘05s are yet to reach high school but already play as one tight-knit team with players from different parts of the Valley. Residents of Donna, Brownsville, the Edinburg-McAllen area and west of Mission help make up the roster. Roberto Morales, a Mission native who plays an attacking position, says he’s happy to be part of such a strong group. The youngster also mentioned the balance on his team that includes “a great defender” in Erick Perez and “one of the best goalies in the Valley” in Jose Cantu. Morales said the culture of soccer from across the border is what makes his team unique. The 13-and-under players use what they learn from both their youth coaches and in their own neighborhoods. Liga MX is popular among Morales’ peers, and he said that has an influence. Morales supports the CF Monterrey Rayados, a team he saw in person just last week in McAllen. 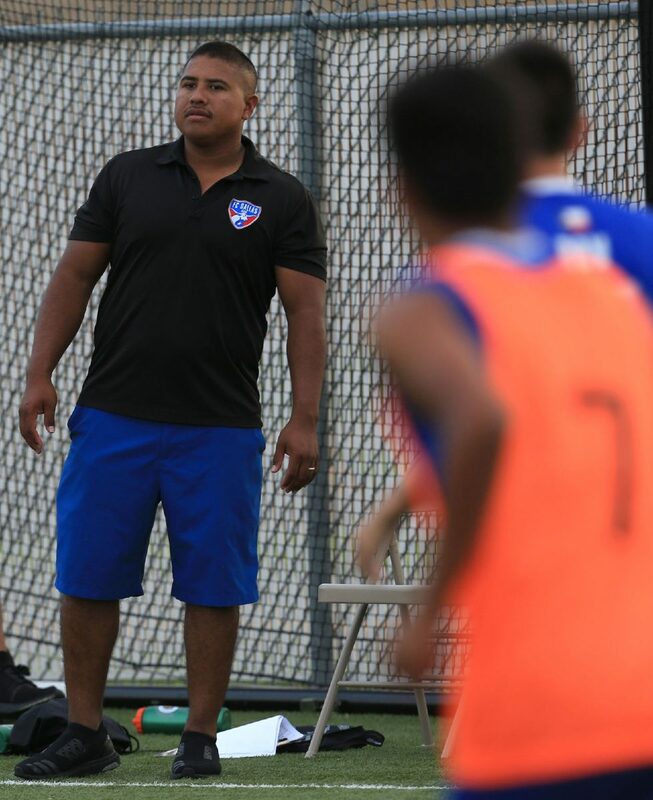 Hector Veliz is one of the team’s coaches and the athletic director for FC Dallas RGV. He said club play is an important piece of the recruiting process for area talent that might otherwise be overlooked. FC Dallas’s merger with Golazo and their low-cost initiatives allow more players to get the training that can help them become elite, Veliz said. In Indiana at the Presidents Cup, RGV Dallas FC will take on Sporting Wichita (Kansas), SCCSA Dragons (Pennsylvania) and Solitio FC (California). The team’s first game is Thursday.